The call of the Eastern Phoebe outside my bedroom window this past week has alerted me to the change in seasons. It may seem early to most of you, but although the Phoebes have been here all winter, the back and forth calling has only recently begun again. My alarm clock is back. You can read about that here, if you want. They are such an adorable bird. I love watching their in-flight aerobatics! The absence of green, red, and gold, silver, blue and white dripping from nearly every surface is another sign of the season change. Time to decorate with pastels and think about the awesome and the profound. The true meaning of Spring: rebirth! The birds are happy about the warmer weather and, I like to think, happy about me being outside to play hide and seek with them again. As I walk along, they flit, over and beside me, from limb to stalk to leaf. They know the true meaning of self-less abandon and my spirit soars along with them. Then I see what all the excitement is really about . . . the pear tree is just beginning to bloom! Breathe deeply, my friend. Can you smell it? No fragrance made by man can compare! I walk around the tree as if in a trance, intoxicated by the scent. Do the birds smell it too? Is it the smell that draws the birds and the bees to the beauty of the bud? There is new life here – bursting forth. Can you feel it? The birds look down at me from the upper branches, wondering why I linger. What did she come for? What does she seek? The answer tumbles forth on the slant of the morning sun. Oh June, you have such a way of filling my heart with smells, and sights, and JOY! Thank you for sharing this most peaceful walk today. I feel refreshed! The little Phoebe is one of my favorite spring birds. They are so adorable. Your photos and words are a tonic to my soul today. Thank you. Well, this little alarm clock sure beats the electronic ones that startle you out of a deep rest. These photos are so beautiful! The promise of spring, hurray! Beautiful captures of the new signs of spring. Here I am anticipating the cooler pleasant days of autumn coming soon (although the children want more hot days for swimming). Lovely shots especially of the bird and blooms. Love the Sparrow shat on the fence and the beautiful blossom. I so love these signs that spring is on the way! My first buttercup bloomed last week and it made my heart so happy. God is good to continue the cycles of seasons. Sounds wonderful, I am looking for signs of spring too. I need to feel the warm, hear the birds singing and have all this snow melt.. Your photos are lovely, have a happy day! Your photographs are amazing! We have sparrows and hill mynahs around us, too, and I love listening to them especially in the mornings. Thank you for visiting and have a great week ahead! Nice - we have the first signs of autumn shuffling its feet in anticipation here! Spiders that roll a leaf in the middle of their leaves are a sure sign that things are changing. My goodness...those tree blossoms are superior. Yes, I can 'picture' the lovely fragrance. And I agree, no other scents created by man can compare to nature's. such a gorgeous set of images. I love the first image. Spring is an exciting time of the year and your photos reflect that! Beautiful shots of the birds and blooms, June! I can hardly wait till spring reaches Iowa! I welcome a visit from you anytime, sweet Beth! God bless YOU, Sharon! I'm so glad this post brought you JOY today, my friend! Thanks for stopping by, Elizabeth! 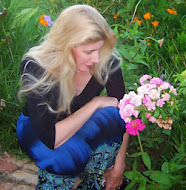 Blogs like your encourage me to keep seeking the beauty ! Thanks for stopping by, Barbie. You're in my prayers today, friend. By the end of our summer, I will again be ready for the cooler days of autumn! Spring and fall are the best seasons here in south Texas. I'm thankful for the ebb and flow. Thank you for stopping by, Karen, have a blessed day! It's a JOYful promise, isn't it Stephanie? Thanks for stopping by! I'm thrilled you stopped by, Shey! I see you are a fellow bird lover, and live in my "neck of the woods"! Lot's of great photos and information on your blog, I'll be visiting often! Thanks, Eileen. I know what you mean about needing to "feel the warm". It's been unusually cold here in south Texas and I am *so* ready! Have a wonder-filled week! The JOY a flower brings to our heart is a sweet miracle of God, don't you think, Lisa? Have a blessed week! This pair of Phoebes nested in the eve at the back of our little cottage last year. They only had one chick that I could tell. Hoping for more this year! Thanks for stopping by! Thanks, Betty! Nice to see you here :) I'm still making the rounds. . . I'll be visiting soon. Your blog is always so fun! We've got another cold front on the way, so I'm clinging to the promise of these pictures as well, Bethany! Have a blessed day! Lovely shots - nice to see buds already! Thanks June. It's good to know someone who lives nearby. Are you in Austin too? Spring is budding out every where already. It seems early to me, but I am ready for it so I really do not care :-) Until we have buds blooming I'll get to share with you in yours, thanks. A fleeting promise of spring! We have freezing rain today, but it was nice while it lasted! Thanks for stopping by! Looking forward to sharing your blooms when they arrive, Lisa! Sorry! I just realized I never answered you. Not in Austin, but close by. We're in between SA and Austin. Not enjoying this weather - hope to be back outside soon! Have a lovely week!